The catalogue for the San Diego Art Prize 2018 is online. 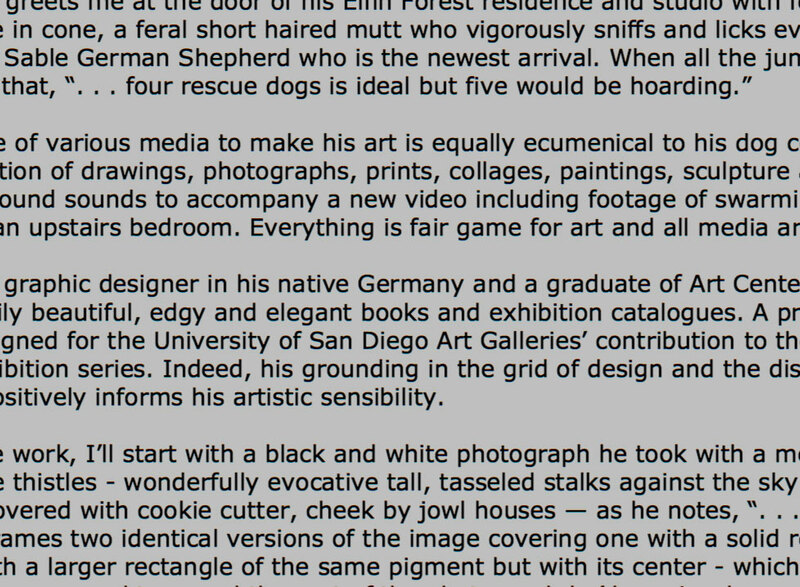 I am very thankful to Hugh Davies, PhD, (Director Emeritus, Museum of Contemporary Art San Diego) for the kind words on my work, his friendship and advice! Read it here.